There is no doubt that orphaned children are among the most vulnerable populations on earth. With nearly 160,000,000 children who do not have a family to call their own, it is difficult for anyone to ignore this crisis. If all of these children were to come together, they would make up the 10th largest nation in the world. While the scope of this crisis is overwhelming, there is only one organization in existence today with the current global network, number of people, resources, and mission to do something about this tragedy. That organization is the Church. As Christians, we have a biblical mandate to care for widows and orphans and serve “the least of these.” There are few things that should grieve our hearts more than knowing that there are literally 160 Million children without a forever home, a family, and in many cases, basic needs, clothing, an education, and adult mentors who can share the Love of Christ. The best case scenario for each one of these children is adoption into a family. I have heard it said that if each church had just one family that could adopt an orphan, we could end the orphan crisis in our lifetime. I also know that there are many more Christians than there are orphans, and for the first time in history, we live in a generation with global communication and networking capabilities to reach out to others hurting on every continent. Even though the statistics look grim for the vast majority of these children, we will never give up! 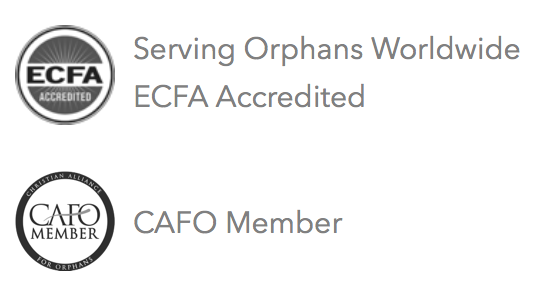 Serving Orphans Worldwide exists to Rescue, Train, and Sustain struggling homes and connect these children with Christian families when possible. For the 99% of orphans who will not be adopted this year, we want to do everything we can to meet their physical, emotional, and spiritual needs by the time they reach adult-hood. If you or someone you know is considering adoption, we would love to hear from you and connect you with some resources to help you along your journey. There is nothing more rewarding than putting the power of possibility into the hands of a child so that they can reach the potential that God has for them.